Is it just me or does it seem like it was just yesterday that I posted the New Releases for February?! My goodness, time is flying. During that time, my kids and I finished the Harry Potter series. As you remember, it was my daughter’s first time reading the series, and to say that she loved it is an understatement. I couldn’t be happier that my kids share not only my love of reading, but also my love of Harry Potter! J Have you read the Harry Potter series? If so, which book is your favorite? As always, there are a ton of new releases this month and plenty of choices for everyone. 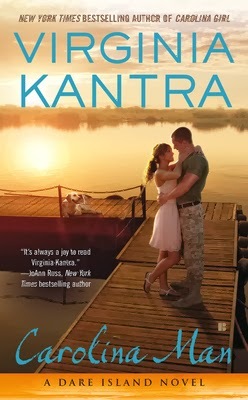 I’ve not yet read any of the March releases, but am looking forward to a few, such as The Bride Says Maybe by Cathy Maxwell, Loving Lord Ash by Sally Mackenzie, and The Rebel Pirate by Donna Thorland. We are a family of HARRY POTTER fans. Love that it's a series for all ages. I am yet to read any of the wonderful books on offer. As per usual I will go straight to the list of historical books. I hope you enjoy them all, Laurie! I love contemporaries, too, Pat. Enjoy! 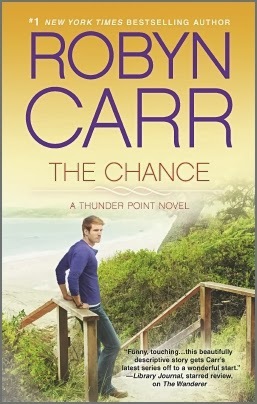 I've read The Bride Says Maybe (Cathy Maxwell,) The Undead Pool (Kim Harrison) and The Chance (Robyn Carr.) All were enjoyable. 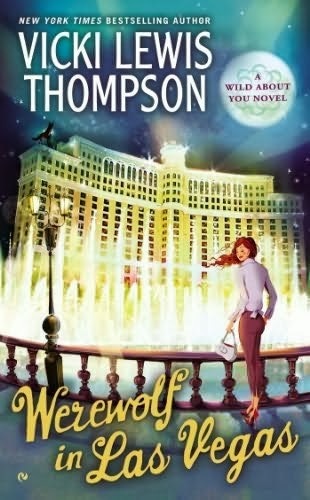 I'm looking forward to reading Love Game (Elise Sax) and Werewolf in Las Vegas (Vicki Lewis Thompson.) Thanks for the list. I haven't read any of the new March releases. However, these are the ones' that I'm looking forward to reading so as I can fall in love over and over again. Great historical book list, Diane! Enjoy! Stay tuned! I went to Elizabeth Michels' launch party for Desperately Seeking Suzanna and picked up signed copies of both of her books to give away here at TRD sometime in the next couple weeks! Awesome! Thanks for letting us know, PJ! I'm only here to say what my favorite HP book was: book 7 (though book 6 is a close second and seems to be written more tightly.) Oh, a brilliant wonderful book. I love book 7, too, Hellie. My daughter said her favorite was book 5 with book 7 close behind. We are a three-generation Harry Potter-fan family. We love the books and the movies. Book 7 is my favorite and the one I've read most, despite its being the final one. Another eight are on my Kindle waiting to be read. I only hope I can read the books in the last two groups before the March 25 and April 1 releases when an extraordinary number of my autobuy authors have new books. Janga, my son has read that one (his favorite) the most, too. In fact, he read it before Deathly Hallows part 1 and again before DH part 2 came out at the theater. Sometimes he'll just sit and read his favorite parts over and over again. It does my heart good. *g* We also love the movies! Well frankly I'm glad to get rid of freezing February lol. As usual, I first look at the historicals and they all look good to me lol. I bet you are, catslady! I hope you have warmer weather soon and enjoy the historicals! Excellent! Thanks for the rec, jcp! I am reading Baby, Be Mine by Vivian Arend, so far I am loving it. I'm also looking forward to reading The Undead Pool by Kim Harrison and the Hot Shots anthology. Please come back and let us know how it is after you've read it, elaing8. Thanks! I haven't read any of March release's yet. Well, when you do, I hope you enjoy them, Quilt Lady! I can so relate, gamistress. Between chorus and band practice/performances, homework, and work, I'm surprised I have any time to read at all. Andrea, is that a monthly assignment or a yearly assignment?!?!!! I read Harry Potter nine times! and will read again. Oh, no I'm not HP fan at all as you can see. Haven't read any of these, but really looking forward to Monica McCarty's "The Raider." I'm a fan of the Highland Guard series. Great choice, Jane! I haven't read any of McCarty's latest, but I love her earlier books. Loved the Harry Potter series. I was a children's librarian when most of the books came out. It was great fun sharing the books with the kids and having parties when the movies came out. We'd have an afternoon of Potter book related activities, they would come in costume, and we would walk to the theater (which was 2 blocks away), and they would stay in costume and in character while in line. It is lucky it was a small town and a small theater, because we were not quiet, often "participating" in the movie. People were very tolerant. We had a great time. I really miss that job. We attended the Twilight movies and did sort of the same things as we did for Harry Potter. I would have had a great time with the Hunger Games movies. I have given up trying to list the ones I want to read. Except for the Erotica, I pretty much want to read them all. I'm looking forward to: The Dark Affair – Máire Claremont, Sapphires are an Earl's Best Friend - Shana Galen, The Trouble with Honor, Julia London, Killer Frost – Jennifer Estep, and The Clockwork Wolf – Lynn Viehl. So many more I'm looking forward to. March is a fabulous month for reading! 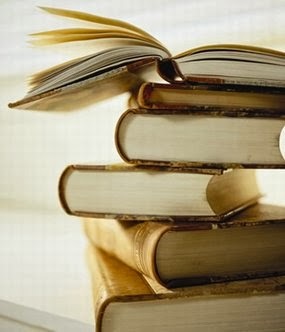 So many good books, so little time!